Freemium MVNO FreedomPop is now requiring the Sprint network phones they sell to be used on FreedomPop for six months before they can be used on another Sprint MVNO. Sprint MVNO phones can only be moved from one MVNO to another after they have been released by the operator they were last used on. I suspect FreedomPop made this change because Sprint is now blocking Boost Mobile, Virgin Mobile and Sprint Prepid phones from being activated on MVNOs until they have been used for 12 months on the brand they were sold for. Boost, Virgin and Sprint prepaid phones are sold at heavily subsidized prices and until Sprint started blocking them were popular with users activating phones on FreedomPop competitor RingPlus and other Sprint MVNOs. With that source of cheap Sprint MVNO phones gone, FreedomPop's inexpensive "certified preowned" Sprint phones would make an attractive alternative for use on FreedomPop competitors. I suspect FreedomPop adopted the six month rule to avoid becoming RingPlus' handset supplier and to prevent the FreedomPop customer support team from being swamped with phone release requests. The new rule, which appeared on FreedomPop's support pages Wednesday, states that in addition to the six month usage requirement phones will not be released if the phone has been reported lost or stolen or associated with a fraudulent account or included in a chargeback dispute. Boost, Virgin, Sprint Prepaid and now FreedomPop blocking their phones from immediately being used on other operators puts pressure other Sprint MVNOs to step up their handset sales game. That's especially true for RingPlus whose current device selection is rather old and a bit overpriced . Just to be clear, FreedomPop releasing a Sprint network phone for use on other MVNOs is not the same as SIM unlocking. All Sprint network phones, including the ones sold by MVNOs like FreedomPop, are locked to the Sprint network. Releasing a phone, does not allow it to be used on non-Sprint based operators like Verizon, AT&T or T-Mobile. That requires SIM unlocking. 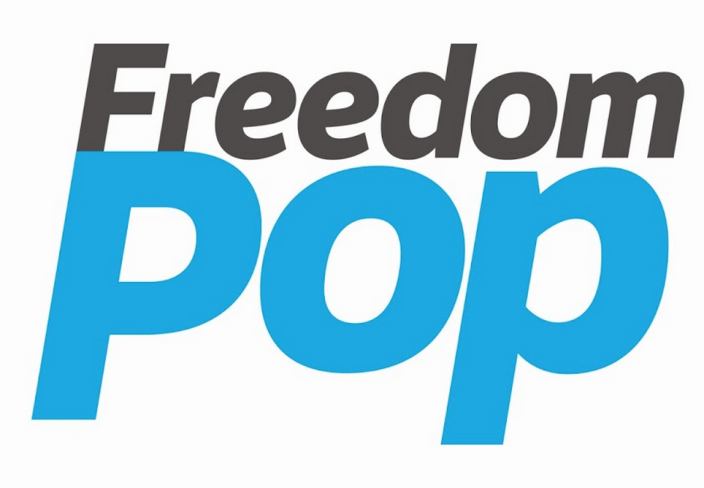 FreedomPop is not SIM unlocking phones after six months. Only Sprint and some pricey third party unlocking services can SIM unlock Sprint phones. Sprint massed up everything! I hate Sprint!! Ting sells new Volt 2 for $66. Real Mobile Moto E LTE $39. Twigby sells HTC 510 new for $39. New Moto E LTE $39. my iphone 5s which was used with boost, after the phone is swapped, my iphone 5s showing as usable with ringplus. so i think still we can activate sprint phones on mvnos. Fully paid for Sprint postpaid phones and Boost phones used on Boost for 12 months can still be activated on MVNOs like RingPlus. Interesting. Maybe the phone is seen by the system as fully paid Sprint phone rather than a Boost one. I wonder if all Boost 5s iPhones will be allowed on RingPlus or yours is a one off. It's easy to tell a Boost iPhone 5s from a Sprint 5s. They have different model numbers in the About settings menu. If you want a 5s for MVNO use, ask the seller for this model number before buying. Only buy the Sprint iPhones. The RingPlus MEID checker can tell you whether an iPhone was sold for Sprint, Boost or Virgin via the description returned from the MEID/IMEI. What's the Boost iPhone number? What's the Sprint iPhone model number? What about Virgin and Sprint Prepaid iPhones, do they have their own unique model numbers too. For iPhone 5s, iPhone model A1453, ME350LL/A is the Model number shown under About menu for the 16 GB configuration, in Space Gray, from Sprint. The 32 GB and 64 GB configurations, in gray, also on Sprint are ME353LL/A and ME356LL/A. The remaining Sprint configurations with 16 GB, 32 GB, and 64 GB of storage, respectively, in gold are ME352LL/A, ME355LL/A, and ME358LL/A; and in silver are ME351LL/A, ME354LL/A, and ME357LL/A. Boost and Virgin iPhone 5S, still iPhone A1453, have completely different model numbers shown in the Settings>General>About menu under Model. For example, the Space Gray 16MB Boost iPhone 5S Model is ME332LL/A, vs. ME350LL/A for the same iPhone from Sprint. The Space Gray Virgin iPhone 5S in 16GB is Model ME359LL/A; Silver 16GB ones are ME360LL/A. The stock eBay specs list the Boost Gray 16GB Model as ME296LL/A, which is wrong. People copy this wrong model info into most eBay ads. RingPlus will ID a Boost 5S with 'BST BOX' after the color and before SGL (for Sprint). Virgin 5S will show VBOX after the color and before SGL. I posted all the Sprint model numbers for the iPhone 5S earlier, together with three equivalent model numbers for Boost and Virgin iPhone 5S. Did these end up in the spam folder? It did. Thanks for posting the numbers and for the heads up about your missing comment. Glad to help. These numbers are important now that the FED check loophole has closed. Minor correction: Virgin iPhone 5S models say VMU Box, not VBOX (my memory failed). These short descriptions vary by iPhone. The Boost iPhone 6S has different phrases reported by the RingPlus MEID checker, for example. Sprint works great for me. Anybody hating Sprint should simply go elsewhere. Nobody is entitled to anything, no mater what some Millennials might think. The vast majority are going eksewhere, and even T-Mobile is showing signs of leaving Sprint in the dust. "The vast majority are going eksewhere (sic), ... leaving Sprint in the dust." This is false. At the end of Q1 2014 Sprint has 53.3M connected devices. At the end of Q4 2015, Sprint has 58.4M connected devices, significantly more than they had in 2012 as well. Sprint has dramatically improved its postpaid phone net adds in recent quarters, finally reaching positive territory in Q3 2015 and growing that number in Q4. Clarification: By Q4, 2015 I mean the quarter that ended Dec 31, 2015. "Boost, Virgin and Sprint prepaid phones are sold at heavily subsidized prices"
I would say that this is highly exaggerated. They may sell them at slight a subsidy, but certainly not "heavily" subsidized. The heavy discounts come at the retail level and it is mainly due to stock is not moving because supply exceeds demand, both in terms of the devices and the services. Believe it or not married to the service devices are not all that popular. Retail for a Boost Volt right now on Best Buy is $179, WTF? The device was not worth $99 when it came out. Sprint certainly slowed the sales of their pre-paid devices, they will be giving away the older devices or selling them at significant loss to resllers or to MVNOs to sell through their own stores. Ring Plus was/is selling Boost and Virgin devices from their store, because that is how the devices come up identified in the ESN check tool. The Volt 2 was never Sold Post-Paid and Ting is selling them NIB, so what does that tell you. Best Buy has pulled SPP from the shelves. Obviously you are so spoiled by the low, heavily subsidized prices that you think they are normal prices. These are the normal prices, not some imaginary overhigh price no-one charges. Just don't use Sprint. Don't give them feed! I appreciate the recommendations for the Volt 2 through Ting ans the Motorola E through Real Mobile and Twigby. I wouldn't have thought of any of these companies as a source of phones for Ringplus. One question, could one reasonably expect any of these companies to release a new phone to Ringplus if you never used their service? Check their activation policies - will the phone be activated when shipped, or do you have to activate it manually. Ting service costs a min. of $6 plus tax. Real, $10. Twigby, $7 plus tax. When activated, these phones have their MEID in the MVNO database. If you swap another phone on the line, the MEID will still be there for reactivation unless you ask them to push it back to the Sprint SPCS database. I was able to reuse a Ting phone with another MVNO without any problem. Ringplus says they push MEIDs back to Sprint when you swap out or deactivate; not sure which database they mean, SPCS or MVNO. Either way, if I tried to reuse my RingPlus Boost HTC 626s today, it would fail because it has not been used on Boost. I do too. FP is notorious for using deception and tricks to get you to pay for something you never ordered. When I activated a FreedomPop phone on RingPlus back in November 2015, I knew good and well at the time that it was a loophole. And remember FP does offer a free tier of service, so if that works for you it's technically better than buying a phone, canceling the attached service while requesting the phone be released, and paying initial top-ups or service on another MVNO. I guess the got tired of people buying their phones and taking them to RP. Sprint needs to just get rid of their entire ESN system and switch to modern sims like Verizon did. No matter though, FP is a terrible service, its all VoIP so when you're running on Sprint's terrible network you realize why its free. With all these new restrictions, this site could use a post listing the best sources for Sprint MVNO compatible phones. Swappa, Glyde, eBay, Ting. Done. I was in the market for a refurb iphone 6 from FP but when I saw theyre now locked for 6 months i looked at walmart. Walmart has a refurb for the same price for sprint, amd with their card just take advantage of the 6,12 month no interest promotion. Im very skeptical with FP refurbs anyway. Their phones tend to be heavily used compared to other refurbs elsewhere! Freedom pop refurbs are just used. No refurbishment of any kind. FreedomPop phones are sold as "Certified Pre-Owned" not "Refurbished". Since they locked everything up, my moto E won't even let me reset. it started sending me a message saying i had no sim card inserted or it was in wrong, and it has never been removed from my phone. on advise from freedom pop i tried to reset. now the damn thing is a paper weight,, and although i uncheck the auto pay box two weeks before my bill was due they still took the money from my account. i advise anyone thinking of going through freedom pop to seek out a better company, or live with dropped calls a phones that only work for 3 months. Freedom Pop is great as long as you know what you're in for. Otherwise, they don't play the radio ads while you're waiting for the recipient to pick up which is annoying but the price you pay for RingPop. I have trouble with both services calling my landline phone (Cable tel svc) in NY. Their support site tells you how to request that your phone be released or unlocked, but don't expect their script reading people to know the difference between Releasing/unlocking/SIM-unlocking, and I guess they can't really do that anyway. My impressions with Freedompop after almost a year: happy with LG G2 on 1GB/month year plan, less happy with LG G3 on free 500MB plan as one of their idiot-geniuses occasionally decides to take care again of a solved support request from April 2016, deactivates my phone then sends me an email to let me know. gee thanks! Luckily their activation people are the only ones who answer the phone, and right away, so no problem getting the phone working again. Their unlimited voice minutes are worthless to me since the quality of their Wi-Fi is awful, so for voice calls I am just using google Hangouts with VoIP.ms as a backup, and textme or Facebook and Skype for the international text messages Hangouts won't allow. FreedomPop is not unique in not doing SIM-unlocks. Actually, I don't know of any MVNOs that will SIM unlock their phones. If your phone has been released from FreedomPop it should work on other Sprint MVNOs like Ting, Real Mobile, Ecomobile or RingPlus. If you want to use your LG 990?, LG G2 or G3 on a GSM operator you need to use a 3rd party unlocking service.